A trip to wine country can be a fun and educational experience. Visiting wineries to taste their wine is a great opportunity to try new type of wines, find great wines that may not be available in your local area, and help you learn a lot about wine and winemaking in a very fun way. Here are a few pointers to keep in mind to help you have a great time, drink some (hopefully) great wine, and meet some great people who have the passion and dedication to make great wine for us. Make sure you pick a wine country destination that will help you have the type of experience you want. Most every State in the US makes wine of some type, but wineries that are close to you may not offer the type of wines you want to try, or the vacation experience you want. For those not lucky enough to live near stellar wine destinations like Napa and Sonoma in California, you may need to plan on a bit of a journey to get to a wine region suitable for your wine country adventure. But the journey is worth it, as Napa and Sonoma have been wine tourist destinations for a long time, so they will have all you need for a great vacation. Other wine tourism spots in Oregon and Washington are growing - offering more places to stay and other activities for us wino tourists. Sounds so serious - right? It is a vacation after all! Thinking a bit about strategy can help make sure you have a great time while you are there, and also help limit “wine tourist regret”. Wine tourist regret is my terminology for having cases and cases (..and cases) of wine that you bought at the spur of the moment, plus the UPS guy knocking on your door each month with more cases of wine from all the clubs you signed up for at each and every winery you visited! I recommend that you figure out the number of wineries you plan to visit based on your vacation schedule. Don’t forget that variety is the spice of life, and as much fun as wine tasting can be, other activities like tours, hikes, shopping, cooking classes, etc. can make for a much more well rounded vacation. If you are planning to have full days of wine tasting in your schedule, plan on at most five wineries per day - perhaps two wineries before lunch, and three more wineries after lunch. After you know about how many wineries you can visit based on your schedule, decide on a mix of familiar wines and new wines. If you are fairly new to the world of wine, then most spots will be new to you - however if you end up only trying wines you already know, you’ve missed out on a great opportunity to expand your wine horizons. I tend to shoot for about half familiar and half new wines when on a wine vacation - but sometimes focus solely on trying new things. Another key element is a wine budget. Trust me, waiting until you are having a great time, sipping some great wine served by friendly proprietors is the worst time to decide how much you want to spend. The wine tastes so good, the people so friendly - it will sound like a great idea to buy a case or two at each winery you visit. In the past, I have returned home with either a car full of wine, or if flying - paid a mint to have a ton of wine shipped home because I didn’t have any limits established. You will need to figure out how much wine you would want to bring home, and factor in how much space you have to store wine (a wine refrigerator is a much better option than your closet for your wine purchases). Also, you need to figure out how many - if any - wine clubs you want to join. Wine clubs come in many shapes and sizes, but typically they will send you from three bottles to however many cases you want - three or four times a year. The biggest thing to remember with wine clubs is that the red wines you get may not be ready to drink. You do get the wine “hot off the presses” when it is first released, but depending on the wine it may not be best to drink for one, two, or even more years. After years on the waiting list, I was able to join the Kosta Browne Wine Club for their Pinot Noir. Next week I am getting a shipment of their 2011 wine, but still have 2010 and 2009 in my wine fridge. The 2009 is just about ready to drink, but I am holding out a bit longer. Wine clubs are great, and in addition to Kosta Browne I am a member of Daou, Chateau Potelle, Sea Smoke, and Darioush (for capacity reasons I had to recently cancel my membership with Cosentino and Derose). Please just give some thought with what you will do with the wine to make sure you don’t regret becoming a member. Good news is that the clubs are easy to cancel whenever you like. The last bit of strategy that I recommend is figuring out your wine tasting transportation - you will definitely need to have a designated driver. The stress free feeling of knowing you are in safe and sober hands as you travel around tasting wine will help make your experience all the more enjoyable. If you have someone in your party who doesn’t drink or who is perhaps looking for your eternal gratitude - you are lucky. If not, then there are lots of limo services and tour buses that will take care of the driving for you - and all you need to do is sip, savor and enjoy! Ask my wife and she will tell you I am a vacation over-planner. I prefer to think of myself as a vacation over-preparer. I like to have a lot of information readily available about where we going and what we have the opportunity to do - but not plan every minute of every day. 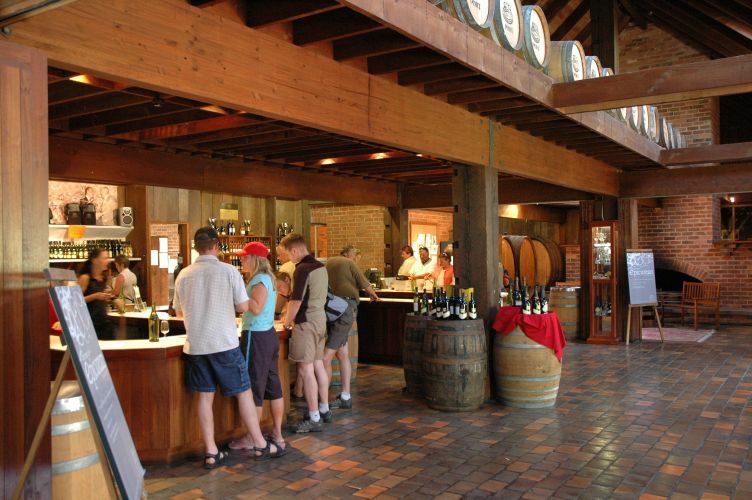 It will definitely benefit you to do some research about the wineries in the area you will be visiting. Driving down the road you may find many, many wineries to visit - but you should take some time to find wineries that specialize in wines that you like, plus at least a few wineries that will push you to try some new things. Also, look for boutique wineries who may only sell their wine from the winery - a great way to try wine not available anywhere else. As you research the wineries, check out their on-line wine shop to get an idea of their prices - so you can determine if you just want to taste, or if you have something you like, take some home with you. 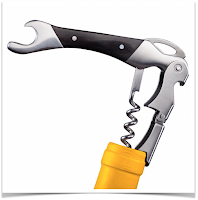 There are a few wineries that seem large, but have wine only available at the winery. In St. Helena, CA (Napa area), the V. Sattui winery has about a billion different wines, a gift shop, a deli and cheese shop, and is one of most popular and busy spots in the area - but they only sell their wine at the winery. I recommend you try it if in the Napa area - and grab some great cheese while you are there. If you will be bringing young children with you, you can look for wineries that offer other activities to keep the young ones amused while you taste the wine (bocci seems to be big among the wine crowd). Other - legal age but non-drinking members of your party will appreciate a similar effort to find them some fun activities! There are many resources for your research wineries and other vacation activities including Yelp, Tripadvisor, sites dedicated to a specific wine region like Best in Somoma, and local newspaper websites like the San Francisco Chronicle (for the Northern California wine regions). Some wineries you want to visit may require a reservation for a tasting and (sometimes) a tour. Do not be afraid to pick these wineries, they are still very interested in having visitors. For some small wineries it is required by law that they take reservations only, while other wineries plan nicely coordinated tours and tastings and therefore ask you to reserve in advance. I usually try to have no more than two by-appointment wineries for each day we will be doing wine tasting (one appointment to start the day, and one later in the afternoon) to be able to experience these spots, without “over-planning” and having to be on a strict schedule for the whole day. I have never regretted the extra effort to make an appointment - these experiences are typically more planned out than other “walk-in” winery tastings. If you do make an appointment at a winery - please do show up, show up on time, and prepare to have a great time. Other critical research for your vacation is to find a good solution for your designated driver needs. Again resources like Yelp can be helpful in determining what options you have - and what fits your needs and budget the best. Next week - Part II - finally let’s drink! As promised, some actual tips for wine tasting at wineries now that all that strategy and research is over! Please stay tuned.